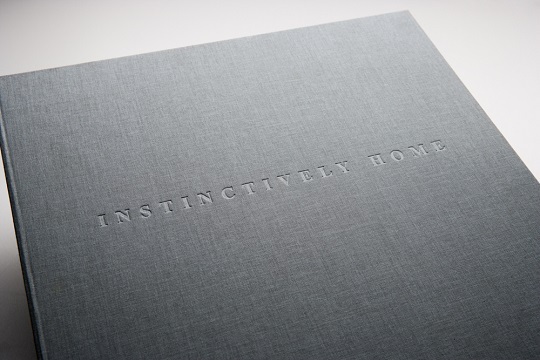 It is not unusual when we are binding hardback/case wrapped books that our customers also ask us to produce a custom made “sleeve” for the book as shown in the first picture. Sometimes a customer ups the bar and asks us to box the book. 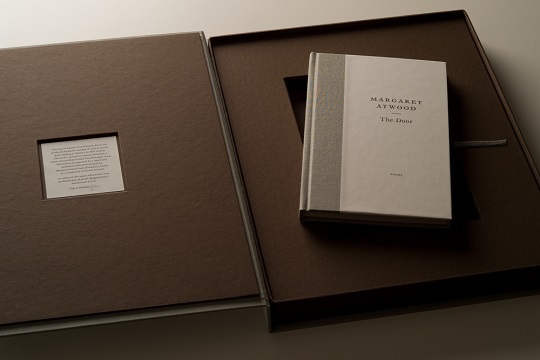 One of my favourite projects is the Margaret Atwood project, which is good example of a boxed book. 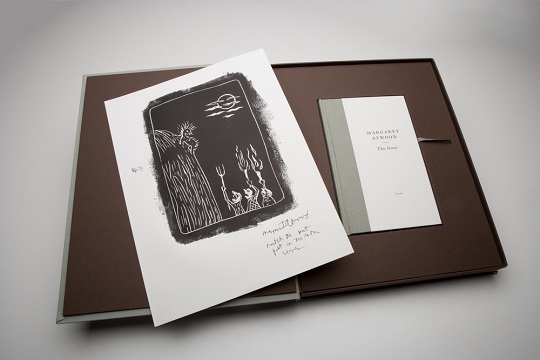 The image below shows the book in the well and ribbon lifter. 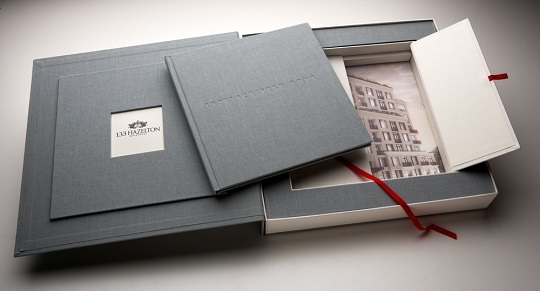 The most extensive boxed book project we have ever produced was for a condominium titled Hazelton Lane. 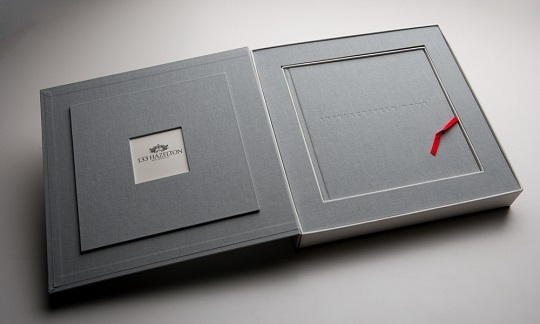 The images below show the case wrapped and embossed box, the hand formed indent/well for the book and the ribbon to lift the book out of the box. This project went one step further than others in that a “double door” was made beneath the book cavity. When the double doors are opened, a schematic of the condominium was inserted inside! 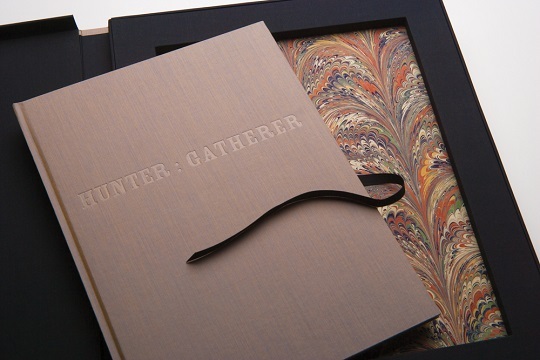 Another project titled Hunter: Gatherer, features a boxed book style with a book mark and marbled and book cavity. The Scotiabank project (shown below) is all colour coordinated with corporate colours. 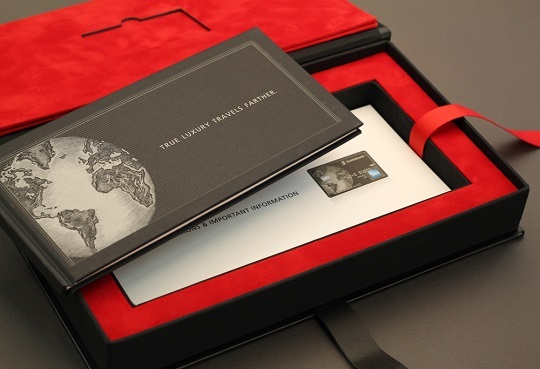 The box features a velvet liner, business card indent and ribbon lifter to lift two books out of the well.